Shane loves freelance writing on a wide array of topics. Check out his freelancing website here if you're looking at hiring a freelance writer or if you have plenty of ideas you want to get out there consider signing up on infobarrel to build your audience and start earning today! So Is Tom Cruise in "Jack Reacher" Worth the Watch? Released quietly around the Christmas season of 2012, Tom Cruise starred in the action film Jack Reacher, blending in some mystery with action and a well-written script. Tom Cruise hasn't had the pull in recent years as he did earlier in his career. That along with a quiet release can explain why so many people haven't heard of this film even though it was a very high quality cinematic work. The movie is named after the title character, who is a fictional character created by author Lee Child. In the beginning a sniper takes several shots at victims at the waterfront, and a former army sniper with a questionable past is nailed for the murder spree. When in custody he writes the name "Jack Reacher" down on a piece of paper and says he won't talk to anyone else. The prosecutors and defense both look for him, but almost nothing shows up on his record. They know he was with the military police, had an incredible service record that is censored to the public, and then simply chose to live off of the grid. They wonder how they can possibly track this mysterious individual down when he shows up in their office, surprisingly hostile considering they all figured him for the accused sniper's friend. 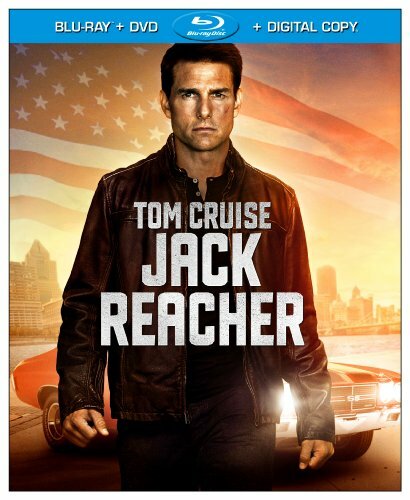 Jack Reacher refuses to answer questions and refuses to give up information to anyone. He's smart, mysterious, and he is exceptional at chasing all the details, and that thoroughness makes it so he quickly realizes there's more to what's going on than everything than first meets the eye. While he appears a bit strange, a bit different to everyone trying to deal with him, he's the one who sees what's really happening before everyone else: a conspiracy is afoot. Own This Amazing Movie on Blu-ray and DVD! It's been a long time since there was a Tom Cruise movie that really caught my attention, but this was an outstanding film. It's well written, the action scenes and fight scenes are gritty and far more realistic than the Hollywood trend towards CGI blood and body bouncing nonsense, and the movie is well directed and well executed. This was one of the most pleasant surprises I've found on Netflix, and it's a film you definitely want to add to your collection! You'll never regret adding this flick to your action movie collection. Perhaps one of the more intriguing aspects of Jack Reacher is the character's ability to play the noble role, but managing it as far more of an anti-hero than a hero. This is especially impressive considering the move from hero to anti-hero is even rooted in his all obsessive view of doing what's right. With a touch of menace from "the ends justify the means" type of logic, to the simple refusal to never stop digging or to never step away from right, Jack Reacher even says the line best himself: "You think I'm a hero? I'm not a hero." This movie moves extremely fast and strikes a lot of cords well. Enough so to make it very re-watchable. The supporting cast is excellent with a lot of familiar faces, including legend Robert Duval as a former Marine and a shooting instructor who is no slouch with sniper level shooting, either. Yes, Jack is a fictional character from a series of short stories and novels numbering nearly 20 now. Author Lee Child's character is one heck of a creation, and it's easy to see how a movie was made after him. If you want to learn about the "real" character from his creator, check out some of Lee Child's books to learn more. 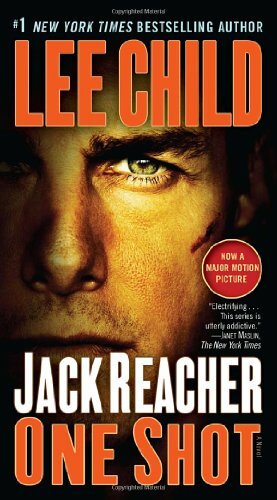 "One Shot" is the novel that the movie "Jack Reacher" is based on! Sets a nice mood for a movie that was just fantastic. If you like action flicks, drifter movies, anything semi-Jason Borne, with a touch of mystery and a good twist, you'll love this movie. The writing is great, the acting is good, and the execution is exceptional. This is a complete list of places where Jack Reacher appears in fiction. This list is current as of the time of publishing this article: obviously author Lee Child will likely continue to add more! When you have a character this good, he's bound to keep on making appearances until there's absolutely nothing left to say. Having some novels in the 1st person and some in the 3rd is also a great opportunity to see this character as others see him and also get to know him from the inside and how he views the world around him. Aside from these novels, as of early 2015 Jack has also appeared in 7 different short stories, some of which are really dang entertaining. 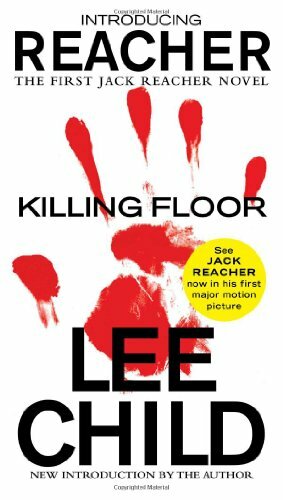 "Guy Walks into a Bar..."
Killing Floor is the first novel that Reacher appears in. Although he's appeared in 7 short stories and over 20 novels total, this is the world's first full introduction to this incredibly intriguing character from author Lee Child. See what amazing stories you've been missing out on! Great review. I have heard of the character but have not seen this film yet. Your article convinced me. Can't wait. Good job! This is a good movie. My wife and I really enjoyed it.